I have been providing professional psychic readings since 1999 and I have discovered there is a great deal of confusion regarding the accuracy of psychic predictions. Most people would probably say, if a psychic makes a prediction, it’s reasonable to expect that what they said would happen, actually happens. And if a psychic predicts something, we naturally assume it must have been a vision or other spiritual connection so how could it be wrong. Many people assume psychic prediction accuracy should be pretty foolproof. The idea of seeing the future through a psychic or seer goes back centuries–as far back as Nostradamus and in more recent history, the sleeping prophet, Edgar Cayce. With the extraordinary accuracy of those guys, we know that seeing the future is definitely possible. Are We Suppose to Know Everything That Will Happen in The Future? But let’s clarify some things about accurate psychic predictions when you call a psychic for a reading. This is not at all the same scope when a psychic whose visions predict world events; or about going into a trance and predicting the cure for what ails you. Psychic readings you find today are more of a practical nature and you should never assume that you can call a psychic and know everything that will happen to you in the future. Some psychics predict world events; some psychics may see a single event of importance to your life in the far off future; some psychics can see things that will happen in the near future; but, no psychic can with certainly see all events that you may want to know about that will happen in the future. Let me explain why. And it’s important to understand if you are going to get the most out of real psychic reading. The past and the present can be seen with a high level of accuracy. The future is in a constant state of evolvement, meaning it develops gradually. It is not fixed. Countless times I have heard, if it’s meant to be than you should be able to tell me what will happen. Some people believe that everything is predestined. Some things in life are destined, like our parents and family and the conditions we are born into. These conditions create the forces behind our behavior, actions, decisions and are meant to work out the lessons particular to a souls growth to be attained during the lifetime. Think of it like this. In lives past you created certain imbalances that have to be corrected in this life. This is a karmic debt. We all have karma (the law of give and take), good and bad. With this in mind, you should live life with the idea that what you create in this life will balance out at a future point. Depending on many factors, this process could happen in this life or the next one. But if you created an imbalance in a particular area of your life, it must be corrected (or brought to balance). I am saying all of this because it is a necessary to understand WHY you can’t know everything in advance always. It helps to understand the concept of free will and that in order for free will to be actively operating in our lives we have to be able to make a choice in which direction we will go. The result of which has significance. If you did not have free will, then your life would be strictly controlled by unseen forces and we may as well all be robots. Free will gives us the choice to do a thing and it’s the consequences that can reward or punish us. The choices creates our life, our destiny, our karma. What Can A Psychic Predict? A psychic reading can warn you of what’s ahead to give you clues as to what is the best choice (free will) and what is possibly the wrong choice and the possible consequences. And, although there are no mistakes, make no mistake, there are consequences. Your future is not a foregone conclusion. Which when you ask what is going to happen puts your psychic in the position of having to guarantee your future! Not see it, but somehow has the power to bring it into being. No psychic can guarantee your future. There can be more than one possible outcome to a situation because it is YOUR action/inaction or decision that is the deciding factor in creating your destiny (good or bad). Even when prophets predict the future, there is still the possibility that we can change it. And consider this. Sometimes knowing certain future events could change the event because you now can manipulate the energy which could bring about the exact opposite of what you want. And vice versa, you could change the path you are taking and decide on a better course of action because of what is seen coming ahead. Most people want to know exactly what is going to happen in a relationship or in their career; they want to know about their loved ones if they will find love or marry, etc. What has been disconcerting for example, is that many, many people believe that when they call a psychic that they will be able to find out if someone they just met will marry them. I once had a client who wanted to know the exact date she would meet her husband, where she would meet him, the color of his hair and his eyes, she even wanted to know his name. I’m not kidding. This is a perfect example of the misconception people have about what a psychic can tell them about the future and what the kind of questions can be answered with accuracy. One point I want to strongly emphasize here is, when you request information from a spiritual source, your psychic is accessing higher consciousness (transcending the normal mind into the infinite and unlimited part of being). Some people treat psychics like they are in a Las Vegas casino playing slots. Put the coin in, pull the handle and out come the answers. Be aware you are tapping a spiritual source and some respect is necessary. You receive information that can be known. And only that which can be known. A psychic cannot tell you things that they did not receive from the Source. Fake psychics fabricate their readings and this type of reading should be avoided. Fake psychics pretend to be able to answer every single one of your questions and you ask as if they have all the answers. People who have frequently called networks have gotten this false sense of accuracy or validity because the fake psychic is “acting” like they are “all knowing” and they are trained to answer your questions using scripts and you are being programmed to believe that you are really getting answers from a true spiritual source, which you are not. What you’ve got is a warehouse of psychics who have been corporatized and streamlined for your enjoyment. Basically this corporate management technique is being used to manage readers on a large scale for profit. It’s not about real psychic readings but managing so-called psychic advisers to pretend to be some magical, otherworldly seer when, in fact, nothing could be farther from the truth. This is why so many have become disillusioned with psychics because their predictions never happen. It’s because they were only pretending in the first place so these predictions have totally no validity whatsoever. When I’m asked what will happen, I look at a person’s auric energy, what I see is what the person is channeling at the time of the reading. What can be seen is the direction the energy is flowing and future possibilities can definitely be gleaned and accurate predictions can be made. Understand that what is seen is at the time of the reading. People can change this at any time and often do change their course of action, changing the possible outcome. Sometimes if the energy is not flowing in the direction you want, then you will be able to see if something can be changed to get the desired result. Sometimes what can be seen is the desired result, but that means it was meant to be seen or even that it is already set. Some things are not set and other things have to happen first before a future event can be known. A perfect example, if you were to ask a psychic, will I be with the one I love and then were told yes, you might bypass a necessary action that created the desired result. Then the outcome that was predicted doesn’t happen. Why? Because you thought you had a guarantee of the future and therefore opted out of the learning and growing process and decided to just wait. This is the danger of knowing too much too soon. Use real psychics to see what is going on and to obtain insight and guidance on your path. Not as a soothing salve to comfort you while you wait for something good to happen. A psychic is a guide, not a substitute for experiencing life or bypassing obstacles. We must all create our own destiny and a true psychic can see what is ahead (similar to a lantern in the dark) and what you need to know and advise you on what would be your best course of action. None of us will ever know exactly everything that will happen in the future. There would no point to living, we’d all just wait around for our happiness to happen to us rather than work through challenges to create a happy life. 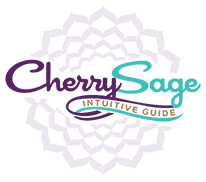 Cherry Sage has actively been providing accurate psychic predictions since 1999. She owns and operates one of the top quality psychic web sites on the internet today. Her main focus is authenticity, honesty and integrity. 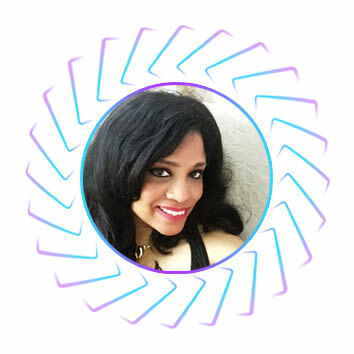 One of her missions is to make sure that everyone looking for a real accurate psychic reading will be able to find certified authenticity and quality service–to change the existing “imitation” psychic paradigm. 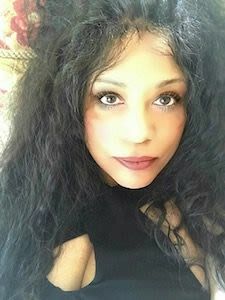 Her many followers trust her because of her proven track record in providing real psychic readings. You can read hundreds of inspiring testimonials on her website at http://www.cherrysage.com. Forgive my errors because I am not English-speaking and I use an on-line translation service. I just wanted to say to you that I appreciate your work and that your article is very instructive for me. Moreover I am going to send a tweet to my friends so that they come to read it.